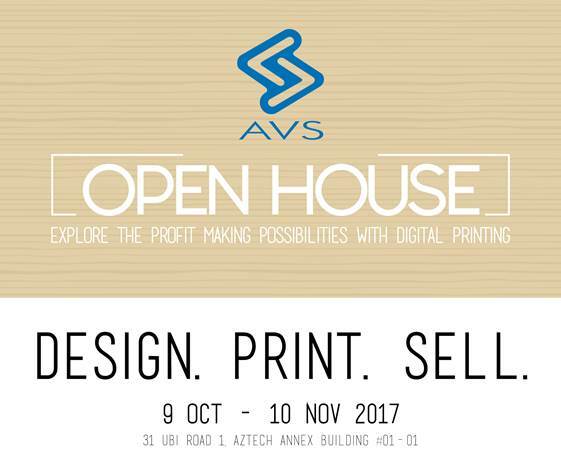 Discover and learn about the different digital printing solutions and their print-to-sell possibilities. Roland users can drop by the booth to have their photos taken, and also attend the free print productivity workshop. AVS is presenting a suite of digital printing solutions tailored to the Gifts & Premiums industry by Roland, Kornit Digital and AnaJet at the Singapore Gifts Show 2017. AVS is taking part in the Malaysia Gift Fair 2017 with a showing of printing solutions by Roland, Kornit Digital and AnaJet. AVS is participating in FUZE Fashion Technology 2017 from 16th March to 17th March 2017 at the Marina Bay Sands. AVS is showcasing the latest printing solutions by Roland, EFI, Kornit and AnaJet at Print Technology 2016. AVS is participating at PrintPack+Sign (PP+S) 2016 with a wide variety of printing solutions, ranging from solvent print and cut, dye sublimation, Direct To Garment (DTG), 3D, milling and impact printing.